A blog and The Life In Between : London. Farm Girl. Great for breakfast/lunch, healthy and many yummy options to choose from. Jet lagged and been up for the past 24 hours not sure if it's a good idea but I could not wait to start sharing the pictures from the trip this past week! Some of you that might have been following my social accounts know that we are deep in the process of planning a destination wedding in the beautiful Santorini, Greece. We made a quick trip over the past week to start finalizing some details -- more on the post later this week! On the way to Santorini we made a pit stop in London for 2 days. First day we spend on the bus seeing the landmarks and history of London, second day we ran around town checking off everything off of my Yelp account hehe where I have marked some of my fave spots I've been wanting to see! As beautiful as the city was I did not expect it to be as cold as it was, I was unprepared for the windy days and rainy evenings but we were able to make the most out of the short trip there. 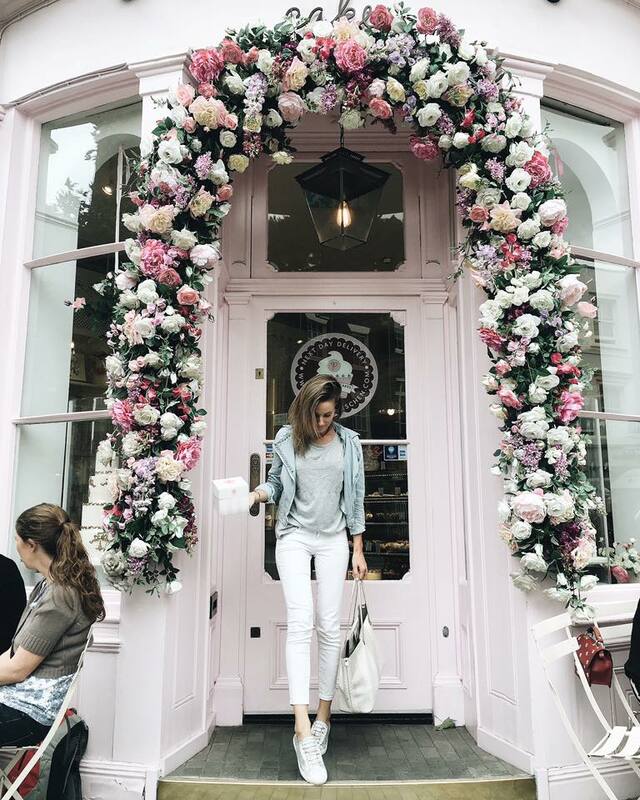 Sharing a few spots bellow that I recommend visiting when in London! A must have picture in London. Best 5eu spent :p this bomber jacket was perfect for hoping from one plane to the other! Entrance of Peggy Porschen Cakes. Soho House vibes on the rainy day. All pink everything at Sketch Restaurant. Farm Girl. I recommend trying the pancakes as that's what they are known for! The view at this place was amazing. This event was in the evening so it’s really a site to see when the sun sets. Just beautiful DC wedding venues! If you are planning your wedding here, don't worry too much about how to make it look even more beautiful.